Quaderno supports automated billing and VAT & GST compliance for SendOwl. Any time you process a successful order, your store will automatically ping Quaderno, which then generates a beautiful invoice for your customer. We can even automatically send it for you, if you wish. This happens automatically, and doesn’t require any manual intervention. 1. 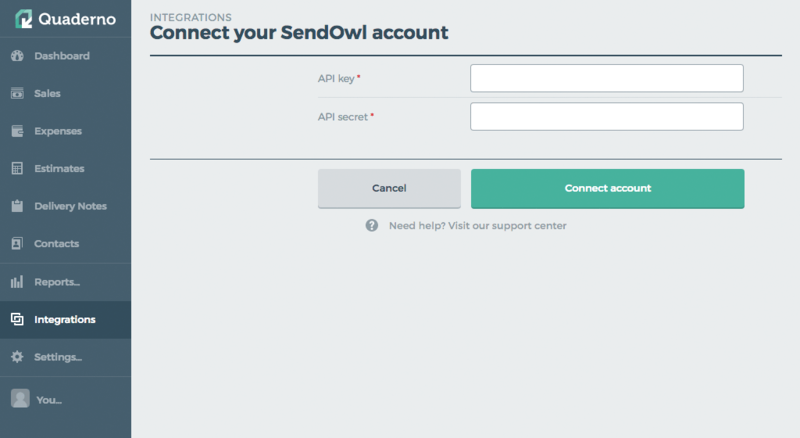 In your SendOwl account, go to Settings > API and select the option Add API Key. 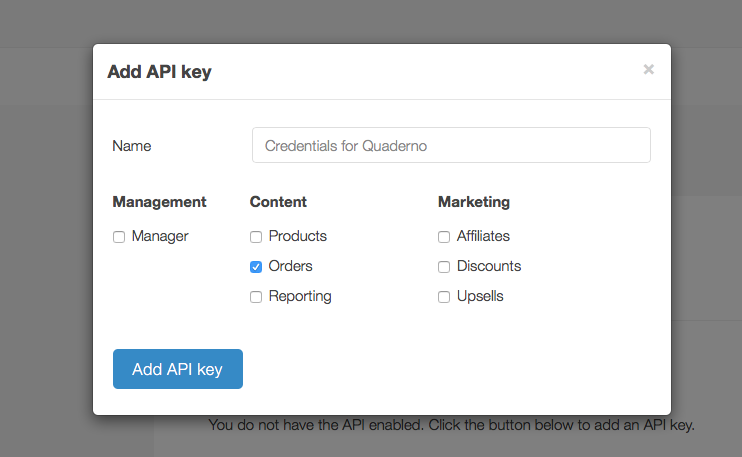 Enter a name for this new API Key and check the option Orders. 2. 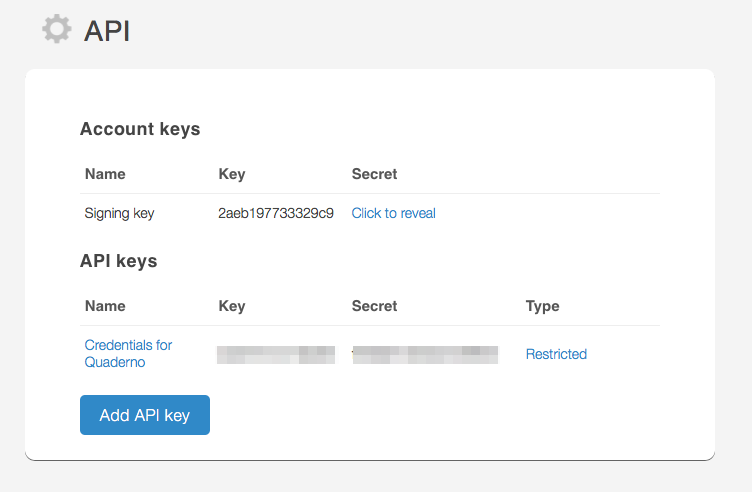 Copy the Key and Secret values of the new API key. 3. In a new tab, go to Integrations > SendOwl after logging in to your Quaderno account. 4. Paste your SendOwl API keys that you copied in step 2. Click Connect account. 5. After submitting the form, you’ll get a personal Webhook URL. Copy that URL. 6. 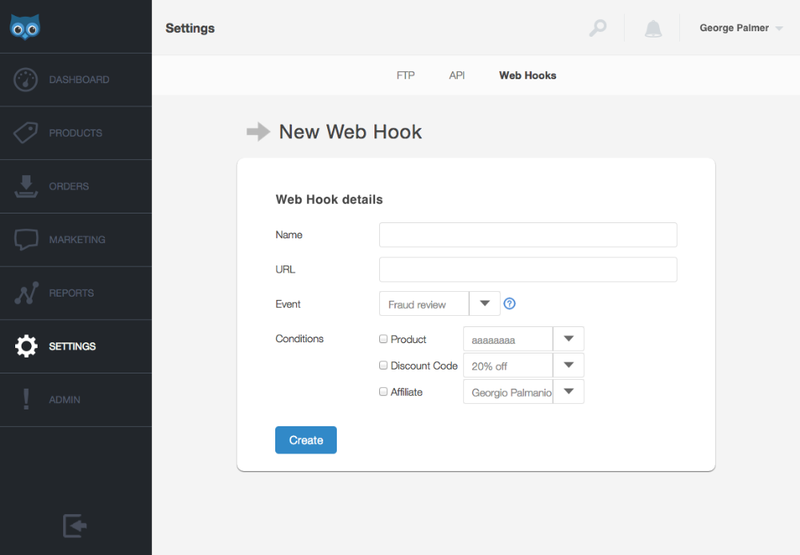 Then in your SendOwl account go to Settings > Webhooks. Create a webhook. 7. Paste in your personal URL that you copied in step 5, and select the New payment event. That’s all! Quaderno will create an invoice every time you receive a payment, and a credit note when you process a refund. Nice!